Every so often online I’ll stumble across a product that captures my imagination in a unique way. As an aspiring outdoorsman, I learned about the BioLite Camp Stove about a year ago, and have been fascinated by it ever since; how amazing would it be to have an always-available power source when you’re off the grid? 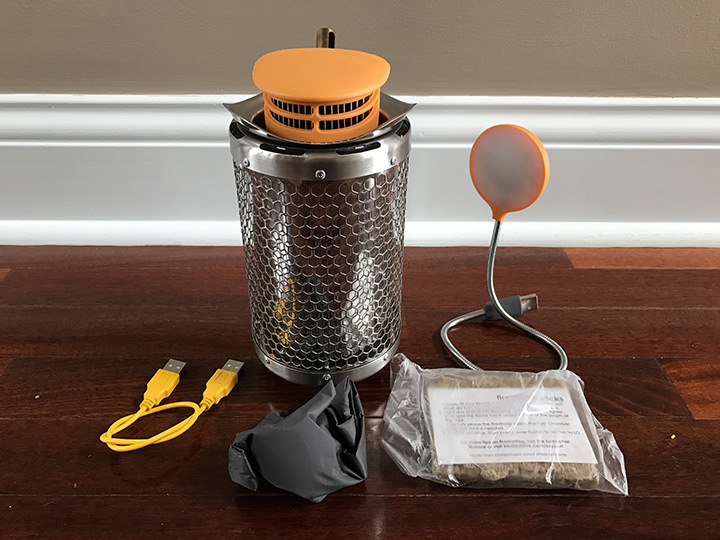 The BioLite Camp Stove is a compact cooking stove that claims to use the heat generated from its fire to power and charge small devices via USB. I have a strange addiction to camping/survival gear, and the BioLite Camp Stove scratches that itch in all of the right ways. 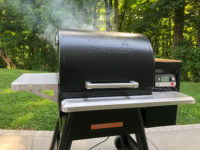 The metal construction of the stove itself is thoughtful and solid, and the fan/battery unit is easy to attach and stores inside the stove unit when you’re packing things up. Also, after being aggravated by some more compact camping stoves, I love how sturdy the legs are on this thing. It put a small cooking pot on it with no worries whatsoever about it tipping over. If there’s a downside, it’s probably the weight. I think most would find the BioLite great for car camping and impromptu s’mores in the backyard, but if you’re considering it as a backpacking stove, you may be discouraged by its 2+ lb heft. 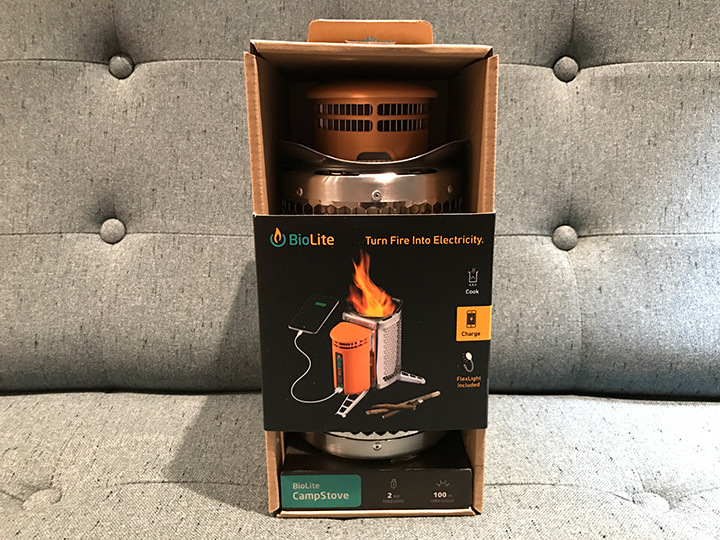 Lighting the stove is similar to lighting any other fire, but the BioLite gives you some help. Unfold the legs, snap on the battery pack/fan, and throw in some small pieces of dry wood and a fire starter. As per the instructions, I lit my fire starter with a match, dropped it in, and, well, watched it slowly burn like any other fire. It was business as usual until I turned the fan on, which immediately turned my budding fire into what looks like a flaming tornado. It’s very visceral and cool (though it burns through fuel like nobody’s business). The real fun starts once you get your fire going for a while. When the light on the fan unit glows green, that means the stove is producing enough heat to power gadgets with 2W of electricity, which is enough to power the included LED lantern and even charge most phones. This worked great in our testing, though the charge rate on my iPhone 7 seemed to be a little slower than power from a typical outlet; The BioLite is great for trickle-charing and topping off your phone while you eat and relax, but a full charge from 0 to 100 would probably take a number of hours and a whole lot of wood. 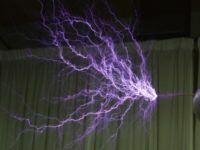 Still, there’s something reassuring about knowing you have an extra way to charge vital electronics should things ever hit the fan. It’s a very good little stove, and a cool piece of tech that’s probably good for every family to have. Unlike gas an alcohol stoves, I like the ability to burn pretty much anything you find laying around. Also, that little USB port is extremely handy, especially since almost everything these days can charge via USB; just don’t expect to go charging something like an iPad… those require a lot more juice. Given all of the tech featured in the BioLite, I was expecting some flimsy connectors or cheap components here and there. Instead, I found the Camp Stove to be an awesome piece of kit. Also, I was able to get a roaring good fire pretty much every time. As long as you have some good dry wood available, you’ll be cooking and juicing up your devices in no time. 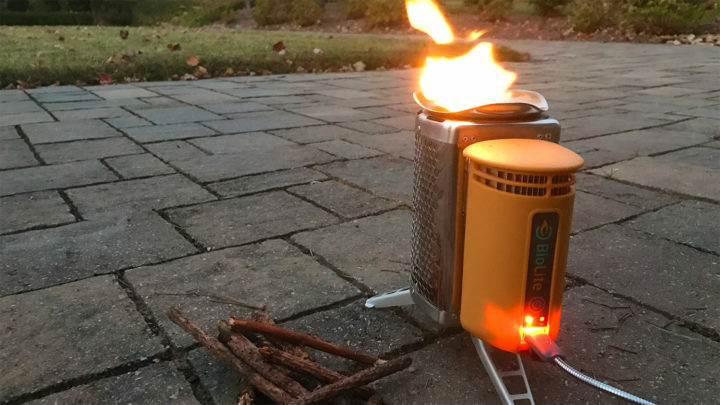 The BioLite Camp Stove I tested retails for $129, which is at least on par with purchasing the three devices it replaces (a stove, lantern, and charger) separately. Good camping gear is almost always expensive, so the BioLite feels priced right to me. You may not use the Camp Stove as your go-to power source for your phone, but you’ll definitely be glad it’s around at the end of a long hike or when the next natural disaster hits. 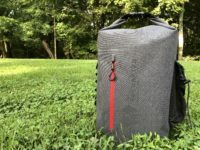 As long as you don’t need an ultralight stove or constant power for a high-intensity adventure, I think the BioLite might be the hit of your next camp site. As long as you don't need an ultralight stove or constant power for a high-intensity adventure, I think the BioLite might be the hit of your next camp site. For picnic it is good support for cooking. The way it is designed is great. Looks good Eric, will have to check this out for our back packing trip this summer! 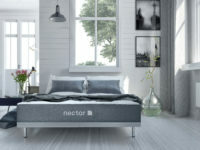 Good price and looks nice!